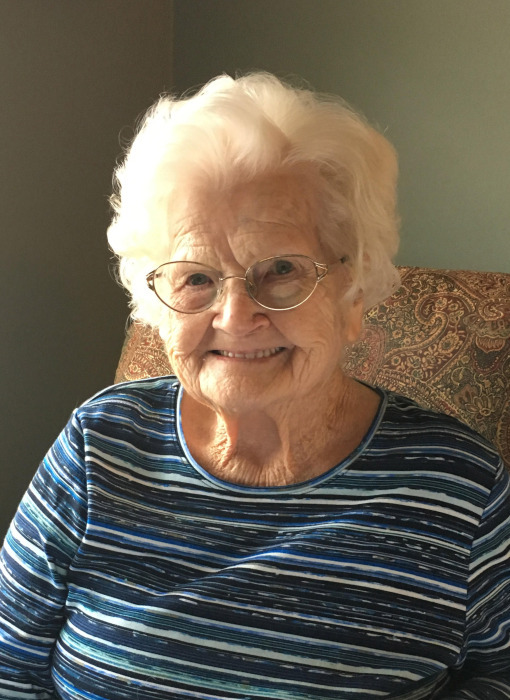 Obituary for Vella (Smith) Owens | Jennings Funeral Homes, Inc.
VELLA (SMITH) OWENS, age 94 of Jamestown, passed away on Thursday, April 4, 2019 at the Uplands Village in Pleasant Hill, TN. Funeral service will be Saturday, April 6, 2019 at 2:00 PM at the JAMESTOWN FIRST BAPTIST CHURCH. Burial will follow in the FENTRESS MEMORIAL GARDENS. The family will receive friends on Saturday, April 6, 2019 from 12:30 PM to 2:00 PM at the JAMESTOWN FIRST BAPTIST CHURCH. Vella was a member of First Baptist Church and loved God, Bible Study with her Sunday School Class and spending time with her family. She was the happiest when her family was together. She especially enjoyed the great outdoors working in her vegetable garden and flowers. She would have rather played in the dirt than eat. In the later years of her life, quilting became her passion. She made numerous baby quilts and has quilts in all 50 states and in 14 foreign countries. JENNINGS FUNERAL HOMES OF JAMESTOWN IN CHARGE OF SERVICES FOR VELLA OWENS OF JAMESTOWN.